As will be demonstrated, old-earth creationists have a difficult time responding to the arguments mentioned in the previous chapter. Several well-known evangelical leaders have offered arguments against young-earth creationism. It is surprising to see the very inadequate responses from otherwise brilliant men. Sadly, many old-earth creationists knowingly misrepresent young-earth creationism, while others resort to ad hominem arguments, straw-man attacks, and other fallacious debate tactics. This chapter will focus specifically on their attempts to respond from Scripture. The following chapter will highlight their faulty argumentation and poor theological reasoning. 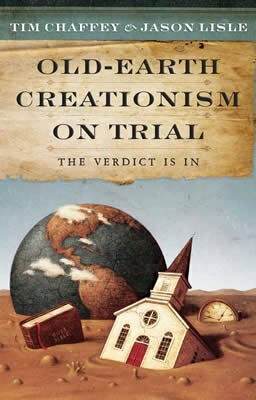 To open their defense, the old-earth creationists have used an approach that has gained some acceptance over the past century. Simply stated, some old-earth creationists have sought to reconcile the apparent conflict between science and Scripture by changing hermeneutical guidelines. In other words, according to old-earthers, it seems that the general rules of interpretation just do not apply to Genesis. Instead, it should be treated differently than any other book. The standard conservative method of interpretation that seeks to find the author’s intended meaning. A. Berkeley Mickelsen authored a comprehensive textbook on hermeneutics. In an otherwise outstanding work, Mickelsen advocated that a unique approach be applied to the Genesis text. He also includes the Book of Revelation in this interpretive scheme and says these two books use “the language of creation and climax.”1 He writes, “the age of the universe, the nature of light, [and] the time and procedures by which God prepared the earth for habitation of man are not touched upon at all [in the Bible].”2 By applying the standard historical-grammatical hermeneutic to Genesis, it is easy to see that Mickelsen is simply wrong. First, the age of the universe can be calculated to within a few generations by adding up the ages given in the genealogies. Even if we allow for gaps in the genealogies, it is most unreasonable to try to fit tens of thousands of years or more into the record.3 Second, it has already been shown that it took God five ordinary days plus a part of the sixth day to prepare the earth for the “habitation of man.” This will be discussed in more detail later in the chapter. Bernard Ramm (1916–1992), a very influential apologist of the latter part of the 20th century, also ignored the plain language of the creation account by advocating an illogical and dangerous approach to its interpretation. He stated, “No interpretation of Genesis 1 is more mature than the science that guides it.”4 In context, Ramm was referring to the fact that hermeneutics is a science. As such, one can only be as sure of his interpretation as he is of his science of interpretation. We do not take issue with this aspect of his comment. However, there are two major problems with his reasoning. The first problem lies in the fact that it is inconsistent to reserve this assertion to the Genesis text alone. After all, if somebody applies the same dictum to the resurrection of Jesus Christ, he will find that these accounts must refer to something other than a bodily resurrection. This is because the majority of scientists would say that resurrections are impossible. If proper interpretation of biblical texts depends on the approval of modern scientific opinion (as Ramm taught with regard to Genesis 1–11), then interpretation with any degree of certainty becomes impossible. This startling admission illustrates the dangerous hermeneutic Ramm endorsed. That is, if scientific opinion contradicts a person’s understanding of God’s Word, then he must change his interpretation of Scripture rather than question the scientific majority. One of the greatest problems with this approach is that scientific theories about the past are developed by fallible people who were not around to observe the events they are trying to study. Meanwhile, God’s Word is inspired by the One who is infallible and is responsible for (and was an eyewitness to) the events that are being researched. In addition, scientific views are continually changing. During Ramm’s lifetime, the scientific establishment’s view on the age of the earth and the universe changed several times. Should Scripture be reinterpreted every time this occurs? Knowing this first of all, that scoffers will come in the last days with scoffing, following their own sinful desires. They will say, “Where is the promise of his coming? For ever since the fathers fell asleep, all things are continuing as they were from the beginning of creation.” For they deliberately overlook this fact, that the heavens existed long ago, and the earth was formed out of water and through water by the word of God, and that by means of these the world that then existed was deluged with water and perished ( 2 Pet. 3:3–6, ESV ). Peter revealed that these scoffers would reject three important doctrines of the faith. First, they would reject the second coming of Jesus Christ (“Where is the promise of His coming?”). Second, they would willfully forget that “the earth was formed out of water and through water” by His Word. Third, they reject the fact that the original creation was destroyed by the Flood. Perhaps even more important than these points is the philosophy that undergirds these beliefs. These scoffers believe that “all things continue as they were since the beginning of creation.” This is uniformitarianism—the very belief that Ramm endorsed and said Christians can and should accept. Uniformitarianism simply states that the present is the key to the past. The uniformitarian geologist would claim that the current geologic processes that we observe today are normative for all history. For example, if it takes one hundred years to deposit a one-inch layer of sediment, then this must have always been the rate of deposition. Modern subscribers to uniformitarianism allow for local catastrophes throughout history to explain some of the earth’s observable features. Nevertheless, according to their view, the majority of earth’s features can only be explained by slow and gradual processes over millions of years. Here, Hodge encouraged Bible students to ignore the exegetically established interpretation of the text, if that interpretation caused a conflict with scientific “fact.” Again, the problem is that the scientific “facts” promoted by Hodge have changed over the years since that statement, while the Bible has remained the same. As a result, when one adopts this hermeneutic, the meaning of God’s Word must change whenever scientific opinion changes. Certainly, this is an unacceptable approach to the Word of the One whose words will never pass away ( Matt. 24:35 ). Another argument used by some evangelicals seems to be growing in popularity. It’s called the “That’s not the point of the passage!” argument. Some have suggested that it is not a big deal whether God created in six days or over millions of years because that is not the point of the passage. In this view, Genesis 1 is designed to teach us that God created and that man is unique in that he is created in God’s image. The rest of the details are not worth debating because they are not part of the main point. We might be willing to agree with these people that these are the two most important points in the creation account. However, this does not mean that the rest of the details are unimportant or inaccurate. First, if this view is correct, then why did the Holy Spirit inspire Moses to include the words of Genesis 1:2–25 ? Verse one tells us that God created everything and verses 26–31 deal with the creation of man. If the rest of the chapter is insignificant, why is it even part of the record? The second problem with this view is that one cannot hold it consistently. For example, the apostle John reveals in his Gospel that he wrote it so that the reader might believe that Jesus is the Son of God and that by believing in Him “you may have life in His name” ( John 20:31 ). Certainly, this is the most important point in the book. That’s why John wrote it! Does that mean that some of the details are unimportant? Does it really matter if all of the details concerning Christ’s arrest in the Garden of Gethsemane are accurate? For example, what if Peter really did not draw his sword and cut off Malchus’ ear ( John 18:10 )? This detail is not germane to John’s theme. After all, he did not even mention that Jesus miraculously healed the servant’s ear as some of the other Gospel writers did. If John was simply embellishing the story here to make Peter look brave, then can we really trust the rest of his Gospel? The details are not irrelevant to the main point of the passage. On the contrary, the details establish the main point. If some details of God’s Word cannot be trusted, how can we trust the rest? If some aren’t important, why did God put them in the Bible? Jesus pointed this out when talking with Nicodemus. He asked, “If I have told you earthly things and you do not believe, how will you believe if I tell you heavenly things?” Likewise, why should a person trust the “main point” of the passage if the minor details cannot be trusted? Kline’s intentions are clear. His goals were to rebut “young-earth theorists”8 and to free the scientist from any biblical constraints when “hypothesizing about cosmic origins.” One must wonder about Kline’s motives here. He greatly dislikes the young-earth position, which he called “a deplorable disservice to the cause of biblical truth.” Why is a careful examination of the details of the verbally inspired text a deplorable disservice to the Bible? Also, while he did address the text in his paper, his conclusion that the scientist is free from any biblical constraints made it clear that the text is virtually meaningless in terms of coming to a sound conclusion. If Kline is correct, why did God include Genesis 1–11 in His Word in the first place? Why didn’t He tell us the key points in a few sentences and leave the details for scientists to figure out? If you are having trouble comprehending the framework hypothesis, think of Aesop’s Fables. These are mythical stories that contain important teachings. It does not matter whether the tortoise ever raced the hare. What matters is that the reader understands the moral of the story—patience pays off. Notice Rankin accuses young-earth creationists of importing their young-earth beliefs into the Scripture. But the young-earther developed his idea of a young earth from Scripture. It seems that everyone, other than the framework followers, would accept that the young-earth creationists’ view comes from Scripture or at the very least, a misinterpretation of Scripture. Yet, here young-earthers are charged with importing this belief into the text. Rankin claims that this view is based on a “wrong understanding of the Hebrew word yom.” This particular argument will be covered later in this chapter. There are a few problems with this argument. First, Rankin overstates the case regarding the similarities between the days. It is true that the creatures of the sea were created on the fifth day, but the water was not created on the second day. It was already there on the first day. Genesis 1:2 states, “ And the Spirit of God was hovering over the face of the waters. ” The second day saw the creation of the firmament or expanse when the waters were divided. Also, the sun, moon, and stars were placed in the firmament on day 4, but the firmament was made on day 2, not day 1. Second, these examples do not fit the mold of Hebrew poetry as defined above. The hallmark of Hebrew poetry is one idea being conveyed in two consecutive lines. Proponents of the framework view attempt to apply this to general concepts that are separated by several verses. This argument proves too much. Read the following examples from Scripture and consider whether or not the repeated idea nullifies the historicity of the passages so that they should be classified as poetic. All of these occurrences appear in the Book of Genesis. First Samuel 24 and 26 record two different times when Saul pursued David and both times David was given an opportunity to kill Saul. David spared Saul’s life on both occasions. Surely we are not to look at these parallels and consider them to be merely literary devices and that therefore Genesis 12–26 is all poetry. Nor would anyone claim that we have wrongly interpreted these passages as history because of our preconceived notions. However, if the framework proponents are consistent in their hermeneutics, then they should consider these passages as poetic and not actual historical accounts. We doubt any of them do. These examples show us that it is actually the framework proponent who is guilty of eisegesis. While they claim that their “reinterpretation” is based on the words of Scripture, in reality, the only reason they desire to “reinterpret” Genesis 1 is because they have accepted old-earth claims. We will deal with more arguments based on poetry near the end of this chapter. A refutation of the opinions or principles of another. Hyers’ claims fail for several reasons. First, he placed the authorship of Genesis in the 5th century B.C., approximately a thousand years after the conservative date of authorship. Conservative scholars, both old-earth and young-earth, agree that Moses wrote the Pentateuch in the 15th century B.C. If Genesis were composed during the life of Moses, then Hyers’ theory collapses. While they may have been well acquainted with Egyptian mythologies, the wilderness-wandering Jews (who had been in Egypt for 400 years and were going to Canaan) would not have been heavily influenced by the mythologies of Assyria and Babylon. Second, there is nothing in the text to indicate its alleged polemical nature, even though it most certainly could be used as a polemic due to its historicity. This leads to the third fatal problem with Hyers’ view. It would be nonsensical to develop a polemic against pagan mythologies that is nothing more than mythology itself. The only effective polemic is one that is based on real history. After all, if Hyers is correct, then one is left to choose one myth over another. What would give a Jew (or later, a Christian) the right to claim that his myth is better than the Babylonian, Assyrian, Egyptian, or Canaanite mythologies? Much of the debate often centers on the meaning of yom, the Hebrew word usually translated as “day.” Old-earth creationists are quick to point out that this word can mean something other than an ordinary 24-hour day. Young-earthers agree with this fact but remind people that the context of Genesis 1 indicates that the days were ordinary days. In response to this argument, old-earthers have crafted a few popular but faulty arguments. It is true that most often the Hebrew word yom (“day”) means “twenty-four hours.” However, this is not definitive for its meaning in Genesis 1 for several reasons. First, the meaning of a term is not determined by majority vote, but by the context in which it is used. It is not important how many times it is used elsewhere, but how it is used here. Second, even in the creation story in Genesis 1–2 , “day” (yom) is used of more than a twenty-four-hour period. Speaking of the whole six “days” of creation, Genesis 2:4 refers to it as “the day” (yom) when all things were created. We certainly agree with Geisler’s first two points. Majority vote does not determine the meaning of a word but one should examine how it is translated in different contexts. If a particular context demands one interpretation then that is how it should be interpreted. Genesis 2:4 is utilizing merism—a figure of speech in which some parts are cited to indicate the whole. As such, it is legitimate to interpret this as referring to the entire creation week. Young-earth creationists agree that this as an example in which yom does refer to something other than a 24-hour period. Geisler again ignores his contextual plea by quoting 2 Peter 3:8 . This strategy is extremely common but is completely unfounded. First, Geisler does not finish the quote, which actually states, “ … that with the Lord one day is as a thousand years, and a thousand years as one day. ” If this is supposed to offer support for the old-earth creationist view, it is difficult to see how it can. For example, if this is a mathematical equation that proves the days were long periods of time, then one must include the second part of the verse. Then the equation would be 1 day = 1,000 years = 1 day. No old-earther believes the creation period was 6,000 years long and if he did, it would not help him harmonize Genesis with the billions of years of evolutionary geology and cosmology. This does not help the old-earth position at all. Second, this quote is found in a passage dealing with the future return of Christ. It is simply indicating that God is not bound by time. Although it may seem like a long time to man, God is not neglecting His promise. He will send Christ back on His timetable, not ours. Second Peter 3:8 is actually a simile—a comparison of two dissimilar things that have some resemblance. In this case, a day is contrasted with a thousand years, both brief time units when compared to God’s eternality. If a “day” really could be translated as “a thousand years,” then the simile would be silly; we could paraphrase it as, “… with the Lord a thousand years is as a thousand years, and a thousand years is as a thousand years.” This would be true but hardly profound or worth saying. It is because a day is so different from a thousand years that the simile is so powerful. It indicates that God is beyond time and He works according to His plans and schedule, not ours. Grigg’s point should not be overlooked. God’s Word was not written so that only the elite could understand it. While there are certainly difficult concepts and passages, the majority of it is written in simple language so that even children can understand it. This is known as the perspicuity of Scripture. That being the case, why would God use the word yom (the only Hebrew word that means a literal day and in virtually all cases does mean this) if He were really referring to a long period of time? The God of truth should have used a word that would lead people to believe in long periods of time, if indeed the billions of years are true. Walter Kaiser, respected Old Testament scholar and seminary president, promoted a rather novel interpretation of Genesis 1 during his recent TV debate on the John Ankerberg Show in 2006.19 While stressing that “context is king” in determining the meaning of a word, he claimed that the first three days did not need to be interpreted as ordinary days because God did not invent 24-hour days until the fourth creative period. Brown-Driver-Briggs and Koehler-Baumgartner are the two most respected Hebrew lexicons. Both state that the word “yom” in the first three days should be interpreted in the same way as it is in days 4 through 6. Kaiser’s argument runs counter to the reasoning of the best Hebrew scholars in the world. Moreover, his argument collapses for several other reasons. First, the Bible does not say that God invented 24-hour days on the fourth creative period. It says that on the fourth day, God made the sun, moon, and stars by which to mark days ( Gen. 1:14–19 ). This does not mean that the first three “days” could not have been ordinary days. It simply means that they were marked by something else — the light that God made on the very first day. Fourth, Kaiser provides no explanation as to why the first three days are spoken of in the same manner as the next three days. Each day is mentioned with the phrase “evening and morning” and includes a cardinal or ordinal number. Also, as mentioned before, Exodus 20:11 groups all six days together and treats them as ordinary days (cf. Exod. 31:17–18 ). Why is no distinction made between these days, if Kaiser is correct that the context implies it? Obviously, it is because Kaiser’s view is not consistent with Scripture but was simply created to allow him to accept the old-earth view. Sadly, this is another example of a futile effort of a brilliant Christian man to insert long ages into a biblical account that does not allow for them. In his popular systematic theology, Wayne Grudem is undecided about the age of the earth, but clearly leans toward the old-earth view. He offered a possible old-earth creationist’s response to this argument. Norman Geisler also addressed this argument but focused on Mark’s recording of the conversation. Mark wrote, “ But from the beginning of the creation, God made them male and female ” ( Mark 10:6 ). Geisler offered three arguments to refute the young-earth position. First, Adam was not created at the beginning but at the end of the creation period (on the sixth day), no matter how long or short the days were. These arguments will be discussed in the order presented. In the first argument, Geisler attempts to show that Adam and Eve were not made “at the beginning,” no matter what view one holds. After all, Adam and Eve were made on the sixth day, which is at the end of the creation week. Geisler implies that Jesus was wrong if He was saying that man was made “at the beginning” of history. Since Jesus, being God, cannot make a mistake, then this must be the wrong interpretation. It is important to notice that Geisler added the word “period” to the text. Jesus simply said that it was “from the beginning of the creation” not “from the beginning of the creation period.” Jesus was talking about all of creation from His day back to the beginning of creation. It is certainly reasonable that the very first week would count as the “beginning of creation” even though Adam and Eve were made near the end of that week. For example, consider a marathon runner who stumbles about 20 feet into the race. When asked for his thoughts about his performance during the race, he could respond, “Well, I did pretty good, except I stumbled at the beginning of the race.” No one would accuse the runner of being inaccurate even though, technically, he did not stumble in his first step. [Ankerberg and Geisler] argue that ktisis (which is actually the noun “creation” not the verb “create,” as A/G say) in Mark 10:6 should be translated as “institution” so that Jesus should be understood to be talking about the beginning of the institution of marriage, not the beginning of creation. They base this interpretation on the fact that in 1 Pet 2:13 ktisis is translated in the NIV as “to every authority instituted among men” or in the NASB as “to every human institution.” But they have not paid careful attention to the presence of “among men” (NIV) and “human” (NASB) in this verse. The Greek text is clear. The phrase under question is pasē anthrōpinē ktisei, where the whole phrase is in the dative case (so literally “to every human creation”) and the adjective anthrōpinē (“human”) modifies ktisei (“creation”). An institutional authority (such as kings, governors and slave masters, which Peter discusses in the context) is indeed a “human creation.” But this is a very different contextual use of ktisis than we find in Mark 10:6 , where no adjective is used to modify “creation.” Furthermore, in Mark 10:6 Jesus could have easily said “from the first marriage” or “from the beginning of marriage” or “since God created man” or “since God created Adam,” if that is what He meant. Finally, if we give ktisis in Mark 10:6 the meaning “authority” or “institution,” it makes no sense. What does from the beginning of authority or beginning of institution mean? To make it meaningful Ankerberg and Geisler would have to add a word to the text, which would have no contextual justification. Finally, Geisler’s third argument is also fatally flawed. If Matthew and Mark were “speaking of the original creation events,” it absolutely means there could not have been a long period of time involved in those creative events. For example, even if hundreds of years elapsed before Adam and Eve were created, there is no possible way for Jesus to be correct in His assertion that God made Adam and Eve “at the beginning.” Notice that this becomes a major problem when one adds hundreds of years. How much more severe is the problem if the desired billions of years are added? Old-earth creationists also bring up the fact that the seventh day does not contain the familiar “evening and morning” phrase. As such, they say, the seventh day must be a long period of time, in accordance with their interpretation of Hebrews 4:3–5 . If the seventh day can be a longer period of time, then surely the first six days could be as well. This argument actually proves too much. If the exclusion of the phrase “evening and morning” allows the seventh day to be longer, then this is really unintentional admission that the first six days were literal 24-hour days. Finally, one should not press the idea of God’s rest from His creative works too far. The author of Hebrews used it as an analogy of the spiritual rest offered to those who trust in Christ. Also, to believe that God is still resting in an absolute sense would run contrary to many of the miraculous events in Scripture. Some of these miracles involved the creative works such as the Lord’s feeding of the five thousand ( Matt. 14:21 ) and the four thousand ( Matt. 15:34–38 ). Jesus declared, “ My Father has been working until now, and I have been working ” ( John 5:17 ). God is still working; He’s just no longer creating the universe. This is the rest described in Genesis 2:2 . Today, God is working by upholding and sustaining the universe He made ( Heb. 1:3 ; Col. 1:17 ). But, when read in context, there is nothing in these poetic sections of Scripture that would contradict a straightforward reading of Genesis: that God did indeed create in six literal days. After all, the same God that inspired Genesis also inspired these sections of the Bible. But since poetic books, like the Psalms, Proverbs, and Job, contain figures of speech, metaphors, and other non-literal imagery, many people feel a greater liberty to interpret these passages as they wish, rather than according to the standard rules of biblical interpretation. Some old-earth creationists have even mislabeled poetic passages as “accounts of creation,” presumably in an attempt to revise the biblical history by pulling certain poetic sections out of context. In one of his more recent books, Hugh Ross lists 21 “major creation accounts in the Bible.”32 Many of the passages are from poetic sections of the Bible; four of the listed passages are from the Psalms, two are from Job.33 Proverbs and Ecclesiastes are also included. Sections of the Bible such as the Psalms are not “accounts” at all, but rather poetic songs of praise to God. They are just as inspired and true as the rest of God’s Word; however, they require knowledge of the historic narrative sections of the Bible in order to fully understand and properly interpret the poetic language. One of the most important rules of hermeneutics is that the unclear should be interpreted in light of the clear; therefore, poetic sections using symbolism and literary imagery should be interpreted in light of the more straightforward historical narratives. This is not to say that poetic sections never shed light on narratives; they can. But they should never be used to override the clear teaching of historical narratives. Consider Exodus 14–15 . Chapter 14 is written in historical narrative style; this chapter contains the account of the parting of the Red Sea. Chapter 15 is poetic; it contains a song that the Israelites sang commemorating this event. The events of chapter 14 allow us to understand the song in chapter 15. However, it would be silly to take the poetic descriptions of chapter 15 in a woodenly literal sense and then reinterpret chapter 14 accordingly. The inhabitants of Canaan did not literally “melt away” (verse 15). The Egyptians were not literally “burned” or “consumed” (verse 7), they were drowned. Imagine if we used this symbolic imagery to suggest that God actually destroyed the Egyptians by fire—not water. Imagine that we “reinterpreted” chapter 14 to accommodate such a notion. This would be a pretty obvious mistake in hermeneutics. Yet, errors of this kind are common in old-earth theology. Old-earth creationist Tim Boyle uses Psalm 104 in an attempt to override the clear teaching of Genesis that the original animals were vegetarian. He writes, “Psalm 104 praises God for his initial good creation, in all its aspects. Beginning with verse 21, it speaks of God’s creation of animals—both herbivorous and carnivorous.”34 However, verse 21 says nothing about the creation of the original animals; it only mentions that lions roar after their prey. Since Genesis 1:29–30 clearly teaches that animals were originally to eat plants alone, Psalm 104:21 cannot be referring to the way things were originally, but rather the way things are at the time the psalm was written, about 3,000 years after Adam’s sin and God’s curse on the creation. It really should be obvious from the other verses of Psalm 104 that this passage is not an account of creation. Verse 16 refers to the “cedars of Lebanon.” Are we to believe that the nation of Lebanon existed during the creation week? Verse 26 mentions “ships.” Are we to believe that God created the oceans with ships sailing on them? The psalm also mentions wine and oil (v. 15), which are man-made, and clouds and lightning (vv. 3–4), which are not mentioned in Genesis 1 . Clearly these verses of Psalm 104 are speaking of the present world, not the original paradise. Although some verses of Psalm 104 touch on creation, the chapter is clearly not an account of creation, but a praise of how God cares over His works. In today’s fallen world, God provides meat for carnivores, but in the beginning it was not so. Once again, we see a poetic passage in Habakkuk used to override the clear teaching in Genesis. We see the general statement in 2 Peter that the heavens existed “long ago” used to override the clear teaching of Genesis that tells us specifically how long ago. The proper hermeneutic is to evaluate these generalities in light of the clear specifics. In other words, the above verses tell us the hills are old, but not specifically how old. It is the historical narratives that provide us with that specific information and tell us how to interpret more vague statements of Habakkuk and 2 Peter. The above verses are perfectly consistent with a literal reading of Genesis. The hills are old—thousands of years old! The biblical passages in no way suggest that the world is billions of years old. The Hebrew word for “age-old” used in Habakkuk is “olam” (עולם). This word does imply age, but not necessarily billions of years. After all, the same word is used to describe people in Genesis 6:4 —the “men of old.” These men might have been very old,36 but not billions of years old. Clearly, the biblical statements that the hills are age-old and that the heavens existed long ago do not support the notion of a multi-billion-year-old earth and universe. As the modern Church struggles to find a place of relevancy for a new generation that already has massive demands on its time and attention, more and more young people raised in the Church are leaving it—failing to find the answers to their questions of faith and life, beset with doubts raised by issues that the Church chooses not to address. Opting to skirt the controversy of Genesis as literal history, the biblical authority of the Holy Word is called into question and reduced to a collection of mere stories. A. Berkeley Mickelsen, Interpreting the Bible (Grand Rapids, MI: Wm. B. Eerdmans, 1963), p. 306. See Appendix C for an examination of the genealogies. Bernard Ramm, Protestant Biblical Interpretation (Grand Rapids, MI: Baker Book House, 1970), p. 213. Bernard Ramm, The Christian View of Science and Scripture (Grand Rapids, MI: Wm. B. Eerdmans Publishers, 1954), p. 171. Charles Hodge, Systematic Theology, originally published 1872 (Oak Harbor, WA: Logos Research Systems, Inc., 1997), p. 570–571. Meredith Kline, “Space and Time in the Genesis Cosmogony,” Perspectives on Science and Christian Faith 48:2 (1996), italics added for emphasis. Also available at http://www.asa3.org/ASA/PSCF/1996/PSCF3-96Kline.html. Accessed May 1, 2007. John Rankin, p. 625. All quotations from Rankin come from personal correspondence with Bodie Hodge on 11/14/06. They are from a chapter that he wrote in a yet-to-be published book. Page numbers are based on that correspondence. These similarities were pointed out by Dr. Noel Weeks in his 1979 article “Problems in Methods of Interpretation” available at http://www.answersingenesis.org/creation/v2/i4/interpretation.asp. Accessed May 1, 2007. Dr. Don DeYoung, Thousands … Not Billions (Green Forest, AR: Master Books, 2005), p. 169. Boyd’s own technical study can be viewed at <http://www.icr.org/index.php?module=articles&action=view&ID=24>. Accessed May 1, 2007. Conrad Hyers, “What Genesis Is Really About” Originally published in Reports of the National Center for Science Education 18: 3. Available online at <http://www.ncseweb.org/resources/rncse_content/vol18/328_what_genesis_is_ireallyi__12_30_1899.asp>. Accessed May 1, 2007. Also called the “documentary hypothesis,” the JEPD theory was developed in the 18th and 19th centuries by liberal theologians who based their view on the evolutionary theory. This view says that the Pentateuch (Genesis–Deuteronomy) was not written by Moses since it was believed that writing developed after his time. Instead, the books were written by at least four separate authors long after the time of Moses (J = the Yahwist, E = the Elohimist, D = Deuteronomist, P = Priestly). This theory has been completely debunked by evangelical scholars for several reasons. For example, it has been well established that writing was in existence long before Moses’ time. The Code of Hammurabi dates to three centuries before the Exodus. The textual arguments for the JEPD theory have also been shown to be fatally flawed. Dr. Mark Futato, “Because It Had Rained: A Study of Gen. 2:5–7 With Implications for Gen. 2:4–25 and Gen. 1:1–2:3,” Westminster Theological Journal Volume 60 (Westminster Theological Seminary, 1998, 2002): p. 20–21. In this article, Dr. Futato promoted the framework hypothesis. He argued that so much of Genesis 2–3 has to do with rain and vegetation it should be viewed as a polemic against the storm god Baal. Norman Geisler, Systematic Theology, Volume Two (Minneapolis, MN: Bethany House, 2003), p. 639. Russell Grigg, “How Long Were the Days of Genesis 1? What Did God Intend Us to Understand from the Words He Used?” Creation 19:1 (December 1996): p. 23–25. “The Great Debate” involved Dr. Jason Lisle and Ken Ham against Dr. Kaiser and Dr. Hugh Ross and aired in February and March of 2006. 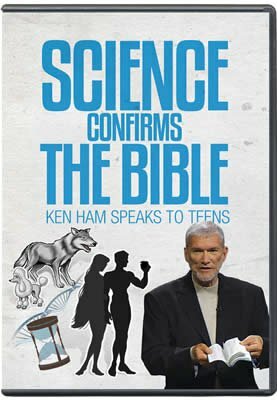 The DVDs of the 10-part debate with added critical commentary by Dr. Terry Mortenson are available at <http://www.answersingenesis.org/PublicStore/product/GREAT-DEBATE-on-Science-and-the-Bible-The,5013,263.aspx>. The Great Debate, program 1. See Appendix B for more information. For a detailed analysis on this point, see Terry Mortenson, “Jesus, Evangelical Scholars and the Age of the Earth,” The Master’s Seminary Journal, vol. 18 (1) (Spring 2007): p. 69–98. Wayne Grudem, Systematic Theology (Grand Rapids, MI: Zondervan, 1994), p. 297. Geisler, Systematic Theology, Vol. 2, (2003), p. 642. John Ankerberg and Norman Geisler, “Differing Views of the ‘Days’ of Genesis.” <http://www.johnankerberg.com/Articles/science/SC0704W1.htm> Accessed May 1, 2007. Terry Mortenson, “But from the Beginning of … the Institution of Marriage,” <http://www.answersingenesis.org/docs2004/1101ankerberg_response.asp> Accessed May 1, 2007. Geisler, Systematic Theology, Vol. 2, (2003), p. 643. John C. Whitcomb Jr., “The Science of Historical Geology,” Westminster Theological Journal, Volume 36 (1974): p. 68. “Heart and Soul” BBC radio broadcast. (Hugh Ross is interviewed by Eugenie Scott.) Accessed March 30, 2007. 19:46–20:12. Hugh Ross, A Matter of Days (Colorado Springs, CO: NavPress, 2004), p. 66. For that matter, many of the narrative passages Ross cites do not pertain to the initial creation at all, such as Genesis 6–9 ; these verses describe the Flood. T. Boyle, Reasons to Believe newsletter, May 2005, p. 6. David G. Hagopian, ed., The Genesis Debate (Mission Viejo, CA: CruX Press, 2001), p. 147. Genesis 6 describes the pre-Flood world. At that time, many people lived to be several hundred years old, according to the genealogies listed in Genesis 5 .